Computed Radiography (CR) is the use of a Phosphor Imaging Plate to capture a digital image, instead of a photographic film. CR uses a cassette based system like analog film and is more commonly considered to be a bridge between classical radiography and the increasingly popular fully digital methods. Since Jan. 1, 2018, users of CR’s have seen a reduced reimbursement rate from Medicare and third-party payers range anywhere from 7% – 13%. Resulting in a clear financial advantage for DR users. Digital radiography (DR), is the latest advancement to the radiography field which uses x-ray–sensitive plates that directly capture data during the patient examination, immediately transferring it to a computer system without the use of an intermediate cassette as is the case with CR. With DR, the image is converted to digital data in real-time and is available for review within seconds.This system is additionally capable of fixed or mobile use. Film radiography is the use of silicon films within a cassette being placed behind the object to be imaged and exposed to an x-ray beam. Aside from it has a higher risk of exposing the patients to more radiation, film takes more time to develop the image than both CR and DR. The film and processing have also an ongoing consumable expense. Here’s a snapshot from Medical Imaging Innovations on the features of CR vs. DR. This type requires transformers of such size and output that they have to be built into the room and provided with special electrical connections to the mains. Portable X-ray has been a handy tool for the diagnosis and monitoring of patients in the intensive care units, in prisons, or in nursing homes, where transfer to the radiology department may be a hindrance. This equipment is good for low volume or startup facilities with tiny space. There’s no lead shielding needed in the walls and the transformers are of small size and low weight. 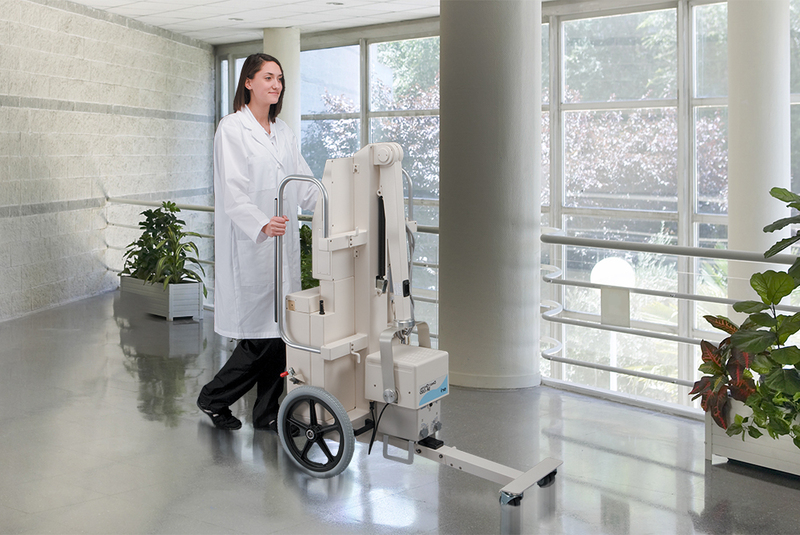 Portable X-ray systems can be operational with little to no construction costs. One of the latest advancements in Digital Radiography is the rise of mobile digital radiography X-ray systems. These machines allow users to bring the equipment into the rest of the healthcare facility. This provides solution for imaging non-ambulatory patients who cannot make the trip down to the X-ray room and cannot be transported easily. 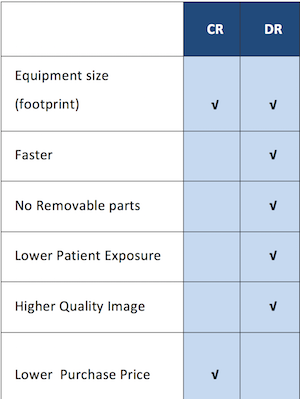 Despite the advantages of portable X-ray machines, the image quality of bedside chest radiograph can be limited. 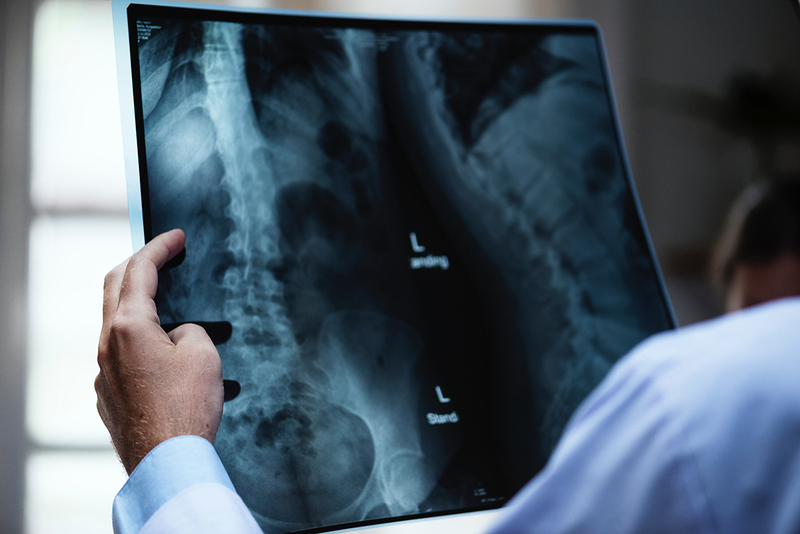 Thanks to mobile X-ray machines, the advantage of bringing the machine to the patient is provided plus these machines have higher outputs than portable machines. It has also larger transformers and mounted on wheels. In the urgent care business, having an X-ray apparatus is important. 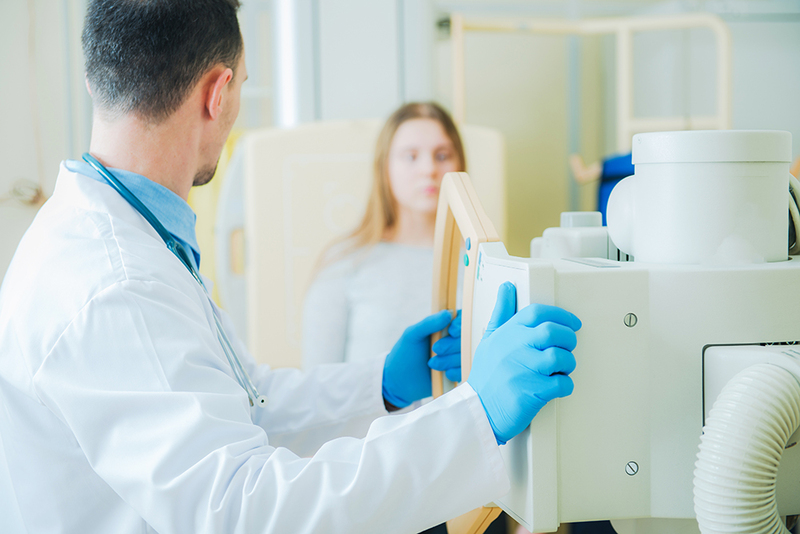 However, there are certain issues in choosing an X-ray imaging equipment for your urgent care facility. Source-Ray released a new solution for these issues with the latest product, the UC-5000. the images captured from the UC-5000 were of the highest diagnostic quality. Even the chest and lumbar spine X-Ray images, which were taken on patients weighing more than 270 lbs., displayed consistent resolution. The quality is remarkable considering the images were produced by a lower power unit. Before you purchase anything, make sure you check X-ray licensing and requirements in your state. You may need a license to run the equipment or a technologist may be required.